With affordable models and a solid reputation, Citroen is a popular car choice for British motorists nationwide. Citroen currently resides under the PSA Group banner, an umbrella organisation that manufactures multiple other big-name car brands, such as Peugeot and DS. Whether you're cruising down the M1 in your shiny new C1, or doing your mascara in the mirror of your Xsara (while safely parked, obviously! ), Citroen-branded car insurance by PSA may be worth a look. PSA offers a variety of insurance specifically for its brands – including Citroen – and policies range from seven-day insurance and annual cover to financial shortfall protection and cosmetic repair insurance. If you've bought a vehicle from a Citroen dealer, they’ll offer you free seven-day insurance cover to get you on the road ASAP. This applies to both new and used Citroens, assuming you buy from an approved Citroen dealer. This knowledge extends into the realms of car insurance as Citroen (via PSA) also offers its own bespoke brand of vehicle cover. Working collaboratively with UK Insurance Ltd, Citroen car insurance is designed specifically with Citroen drivers in mind. The cover itself is very brand-centric and offers Citroen owners the reassurance that, in the event of an accident or emergency, their cars will be covered. The following features were all available in March 2018. While third party only and third party, fire and theft cover are both available, comprehensive Citroen insurance includes such perks as a guaranteed Citroen-specific parts, expert Citroen fitters, and a courtesy car for the duration of repairs. There is also no claims discount (NCD) protection available. However, this is an optional extra. Meanwhile, any accidents as a result of an uninsured driver won't affect your NCD. Another nice bonus is its 24-hour assistance helpline. So even if you do have an issue, chances are you won't have to wait too long to get the ball rolling. Please bear in mind though that you can't buy Citroen's bespoke policies through GoCompare. But it's always worth comparing different policies to find the right level of cover before signing on the dotted line. Which Citroen are you insuring? Let's have a closer look on a model-by-model basis. Although we've summarised some of the most popular models, you can always check specific vehicles' grouping using our car insurance groups checker. Twinned with the Peugeot 107, the C1 has been a popular city car since its introduction in 2005. The car is available in both three-door and five-door format, characterised by its unique tail-light clusters and sleek design. The C1 is an extremely economical car to insure, particularly when it comes to the 1.0-litre version. Most 1.0 models are grouped together in insurance categories 1 to 3. However, newer 1.0 models are typically rated as a 6 to 8. In February 2018, the Rhythm and VTR are the only C1 models that are available with the bigger 1.4 engine. Even so, the insurance category for the 1.4 version remain low at group 3. New variations of the 1.2 do stretch into higher categories, with the 1.2 Feel, Flair and Furio all creeping into 10 to 13 territory. The C2 was unveiled to the world in 2003 as a replacement for the maturing Citroen Saxo. While it was a welcome addition to the Citroen family, the C2 proved less popular than the C1 or C3 and production ceased in 2009. As a general rule of thumb, the 1.0 litre tends to sit in group 3, while the 1.4 rests in groups 6 or 7. However, the 1.6 version is considerably higher, typically falling into group 13 or 15. Meanwhile, the GT variation is a 1.6 litre and classified in group 13, while the VTS ranges from 6 and 7 for the 1.4 litre to 14 and 15 for the 1.6 litre. Since its debut in 2002, the C3 has been one of the most consistently popular cars in the Citroen showroom. It was even voted among the best city cars by WhatCar.com. Now in its third generation, the list of C3 variations is long and wide ranging. VTi and HDi versions are typically more expensive to insure than standard models, as are electric versions. The most expensive car to insure is the C3 Exclusive 1.6 e-HDi, which is in group 21 due to its 115bhp. The most economical is the 1.0 litre VTP model. While it can jump to a 9 for some 2010 to 2016 models, the 2003 to 2010 version is a group 2. Meanwhile, the early 1.1 litre tends to sit at either insurance group 3 to 4. However, this does increase to group 5 for the 2010 to 2016 version. The 1.4 can range from group 3 to 10 and the 1.6 litre versions tend to range between group 11 and 16. Modern models range from 8 to 16 depending on bhp, while the the Diesel BlueHDi is higher again at group 20. Now in its second generation, the C4 was designed to be the successor to the Xsara. Citroen's compact car has been in production since 2004, and came second in the 2005 European Car of the Year Awards. Typically available with 1.4, 1.6 and 2.0-litre engines, the 1.4 is commonly in groups 9 and 10, while the 1.6 is generally in the 10 to 15 range. Special editions like the 1.6 16V THP can fall into group 22, as can the 2.0-litre versions which sit between groups 17 and 30. Second generation versions often fall between 15 and 24 depending on engine size. However, the 1.4 VTi VTR is the lone modern exception in group 12. With a factory life of ten years, the Citroen Xsara Picasso was a staple of the Citroen showroom between 2000 and 2010. The Xsara Picasso was widely available in 1.6, 1.8 and 2.0-litre engine sizes throughout its decade on the production line. The insurance group typically increases with engine size, with most Xsara Picasso models sitting between groups 14 and 21. Can I cheaply insure a Citroen? Citroen car insurance can be relatively inexpensive if you own a modest model. But it can also be quite costly if you don't. Nevertheless, there are a few simple tricks that can shave a few quid off your insurance bill. 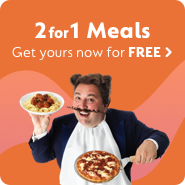 GoCompare is more than just a brand name – it's also great advice when taken literally. Go compare cheap quotes using our comparison service, and make sure you get the right deal available for the cover you want. While Citroen car insurance may be the most official and obvious choice for a Citroen car, it may not be the most economical. It's always smart to shop around.